My lovely friend Hannah of Hi Baby Blog recently drew my attention to this article about so-called ‘helicopter parents’. This article essentially berates and belittles the helicopter parent – parents who play with their children at the park, helping them on the equipment and pushing them on the swings, rather than adopting the behaviour of the author, which is to sit on a bench, chatting with their mum friends and generally ignoring what their child is doing. The writer goes on to complain about how the ‘helicopter parent’ will interrupt their enjoyment because they are worried that their child might hurt themselves. Gosh, how selfish! I think this is the first point that raised my hackles. Unfortunately, I fear that the whole piece was designed to hackle-raise, and I fell for it, hook, line and sinker, but for me it highlighted some of the problems that I think we have in society today. Primarily, the fact that most people can’t seem to be able to do right, for doing wrong these days. This author was complaining that another parent was intervening with their child doing something that might cause them to hurt themselves; insinuating that they were being pushy or overbearing. As a teacher, I am used to looking out for other people’s children, chatting to them in a way that mediates their behaviour in order to avoid them coming to harm. Having read this post, I’ll now think twice about doing that at the park, for fear of being branded with the seemingly uncomplimentary label of ‘helicopter parent’. I wonder how the author would feel if I simply silently watched from the wings as their child fell and hurt themselves? 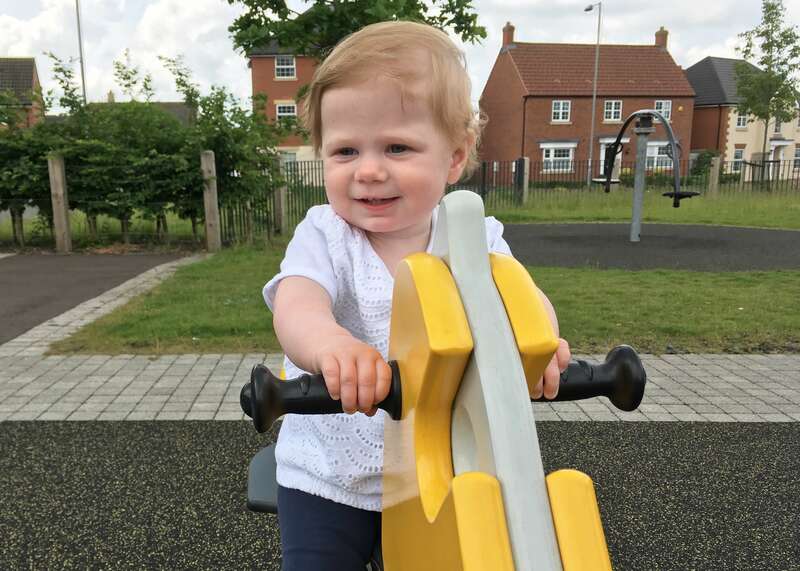 I do appreciate that my daughter is only fourteen months and not yet walking; she needs me to be a helicopter parent in order for her to enjoy the park. She hasn’t yet found her centre of balance and needs support to go on most things. If I simply plonked her in a swing and walked off, her enjoyment levels would plummet and there would be little point in us going. 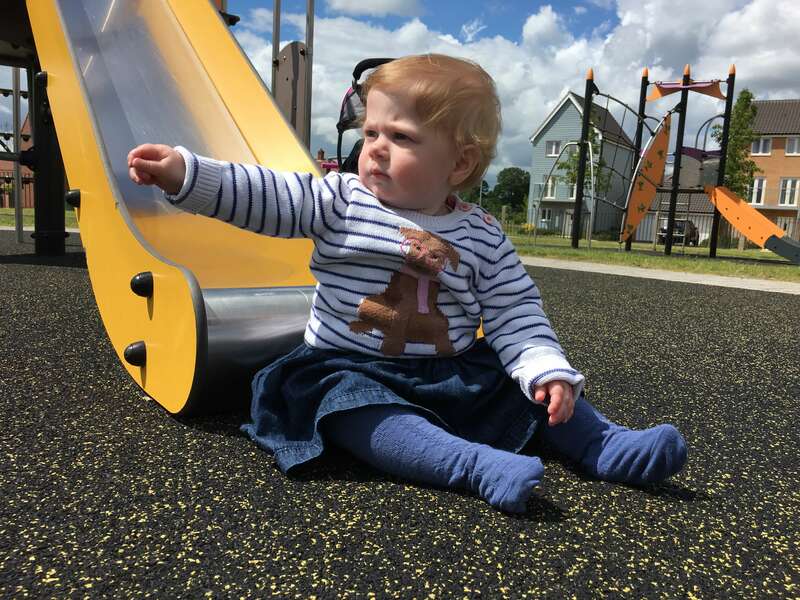 I’m sure as Little M grows and becomes more physically independent, I’ll back off and allow her to explore the park herself, and find her own limits. I have no interest in being overbearing. The hoverers strictly enforce park rules, the unwritten ones everyone else ignores. “Up the stairs and down the slide,” they say loudly and often. They’ll side-eye my kids until I get up and manage to say, “Let’s not climb up the slide, kids.” Even though climbing up the slide, as long as there’s no line, is half of what the slide is for. No sticks on the playground. No wrestling on the playground. No throwing pinecones, even when they aren’t aimed at anyone. No bare feet. No bare chests (hey, my kid got his shirt wet at the splash pad). This really irritated me. Not the bare feet, or bare chests. 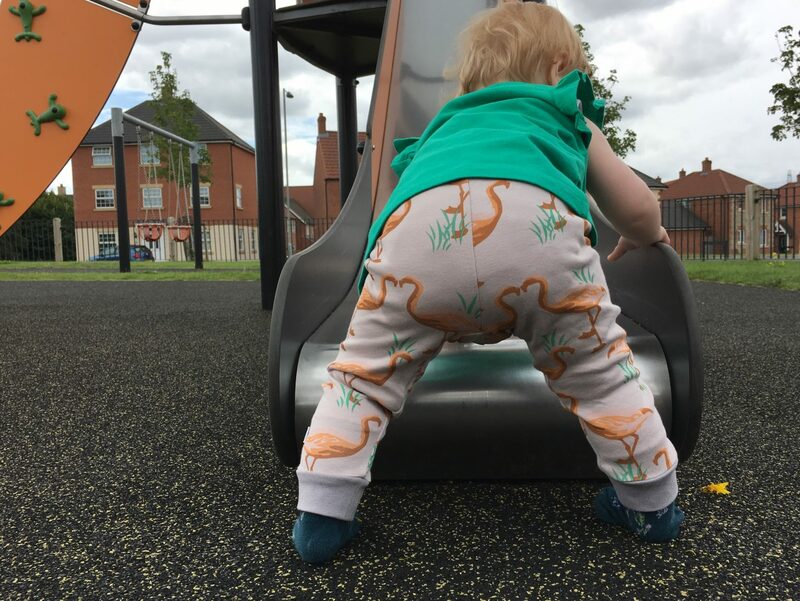 If you want your child to run around looking feral, that’s up to you and no skin off my nose. It’s the throwing of pinecones, and encouragement of going up the slide backwards. Of course, I’m not daft, these activities are perfectly reasonable given the parameters that the author states (the lack of queue at the slide; the lack of target for the pine cones). But actually, how the heck does the writer even know whether these constraints are in place, if she’s chatting with her friends and looking at her smartphone as she opines? To me, belittling parents who actually attempt to interact with their children, and keep them safe, is simply a way for the author to excuse herself from parenting her own children. I’m sorry (actually I’m not sorry at all), but if a child was throwing anything near my child, even if it wasn’t directly at her, I’d be suggesting that they didn’t do it, or moving Little M away from the area. I’m a primary school teacher. I’ve seen the aim of a five year old. I suppose the next thing the writer would be doing, once said pine cone has indeed connected with my child’s head, is not apologising, but excusing this behaviour because he or she didn’t mean to throw it at them. 1) How would you know? Your head was in your phone, and 2) make your child take some responsibility, for goodness’ sake! If they threw it, and it caused harm, make them apologise. End of. Even better, teach them appropriate behaviour in the first place, by being present. I know I’m not perfect. I have my phone in my hand just as much as the next mum at the park. Probably more actually, as I’m obsessed with taking boomerangs of Little M on the swing/slide/springy dragon thing for my Instagram stories. But don’t put me down because I’m concerned about my child’s welfare, or yours for that matter. So while you might think of me with disdain and brand me a ‘helicopter parent’, I’m not going to apologise for it. "Ten ways to help a teething baby"